Pruitt arranged condo deal through energy lobbyist, source says. Environmental Protection Agency administrator Scott Pruitt worked directly with a top energy lobbyist, and without a real estate broker, to set up a $50-a-night rental room in a prime Capitol Hill building co-owned by the lobbyist’s wife during his first six months in Washington, a source familiar with the arrangement told ABC News. 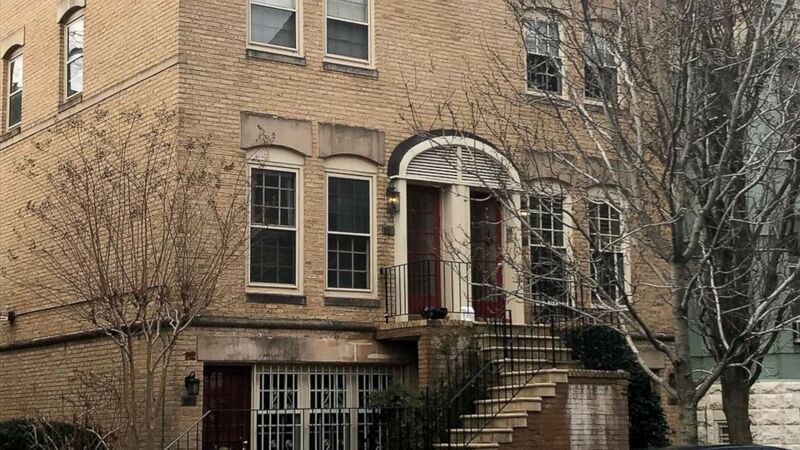 Pruitt was permitted to pay rent for just a single bedroom in the upstairs condo unit, even though the other bedrooms in the unit were unoccupied, the source told ABC News. In all, Pruitt paid $6,100 to the limited liability corporation for the Capitol Hill condo co-owned by Vicki Hart, whose husband J. Steven Hart is chairman of a top D.C. lobbying firm and who is registered to lobby for several major environmental and energy concerns, according to Bloomberg News which first reported the payment arrangement. The EPA allowed Bloomberg News to review copies of canceled checks that Pruitt paid to the condo owner for using the room for roughly six months. The news outlet reported that the checks show varying amounts paid on sporadic dates -- not a traditional monthly "rent payment" of the same amount each month. “While transitioning to Washington, Administrator Pruitt signed a lease to rent a bedroom in a condo and he moved out at the end of July,” EPA spokesman Jahan Wilcox said. Wilcox pointed to an internal ruling from EPA Senior Counsel for Ethics, Justina Fugh, which said she did not conclude that the condo was a prohibited gift. “It was a routine business transaction and permissible even if from a personal friend,” she said, according to Wilcox. But Bryson Morgan, who is in private practice and previously served as Investigative Counsel at the U.S. House of Representatives Office of Congressional Ethics, said the arrangement raises red flags. Rules against improper gifts do not only apply to items given free of charge, Morgan said. There are other considerations when reviewing the arrangement, including the terms of the agreement. U.S. Rep. Don Beyer, a Virginia Democrat called on Pruitt to “immediately make clear the terms of his housing agreement” and “publish all correspondence” with the veteran lobbyist whose wife co-owns townhouse. Pruitt traveled to Morocco last December and the EPA said in a press release that liquid natural gas exports a topic of discussion during that trip. 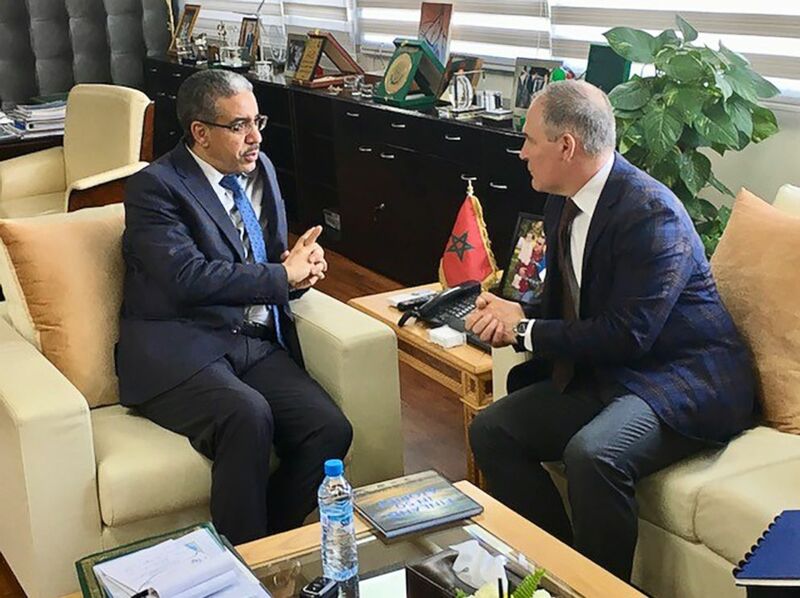 (Environmental Protection Agency) EPA Administrator Scott Pruitt, right, meets with Moroccan Minister of Energy, Mines and Sustainable Development, Aziz Rabbah during a trip to Morocco in December of 2017.